Figure 1. 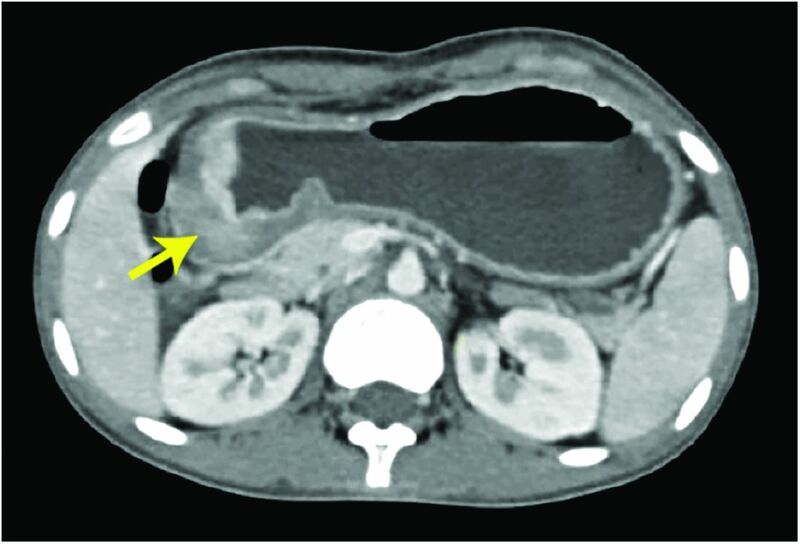 Contrast-enhanced computed tomography of the abdomen shows antropyloric thickening of the stomach (arrow). Figure 2. Histopathology. 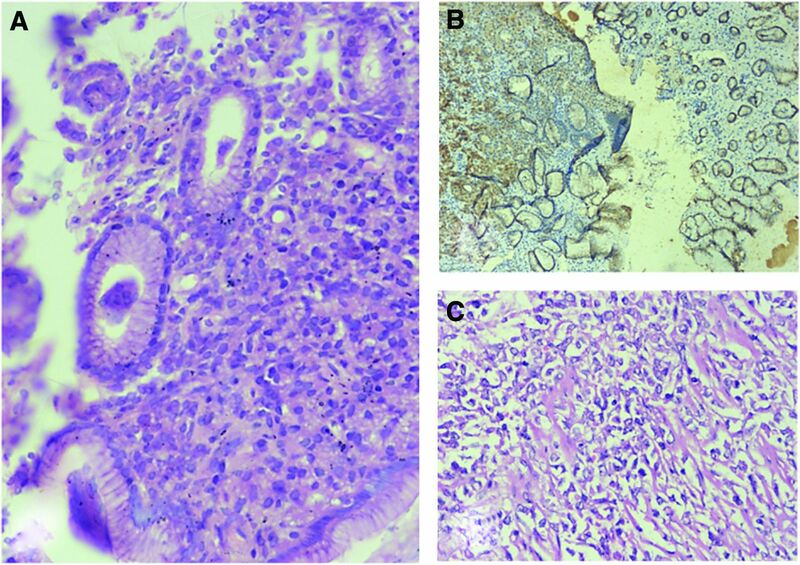 A. Gastric mucosa is infiltrated by sheets of tumor cells with signet ring cell morphology exhibiting abundant intracytoplasmic mucin (hematoxylin and eosin stain, × 200). B. Tumor cells infiltrate the submucosa of the stomach, highlighted by pan cytokeratin immunohistochemistry (diaminobenzidine stain, DAKO monoclonal antihuman antibody, × 100). C. Tumor cells exhibit abundant intracytoplasmic mucin infiltrating the muscular layer (hematoxylin and eosin stain, × 200). Figure 3. 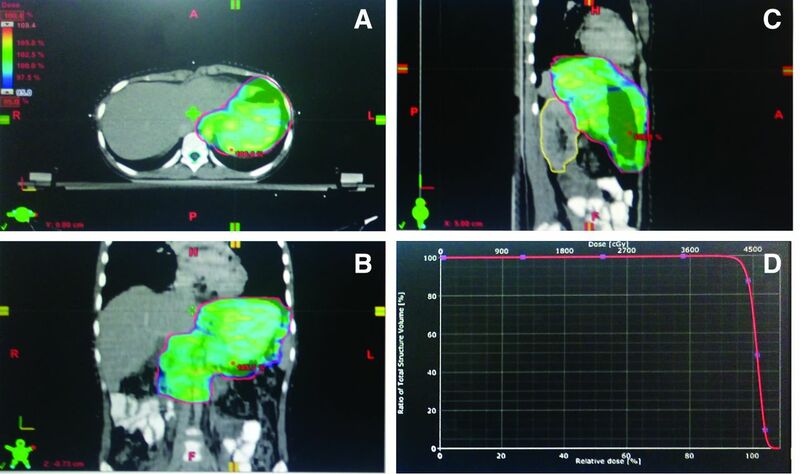 Conformal radiotherapy planning by volumetric modulated arc technique showing dose distribution in (A) axial, (B) coronal, and (C) sagittal planes, as well as (D) the dose-volume histogram.